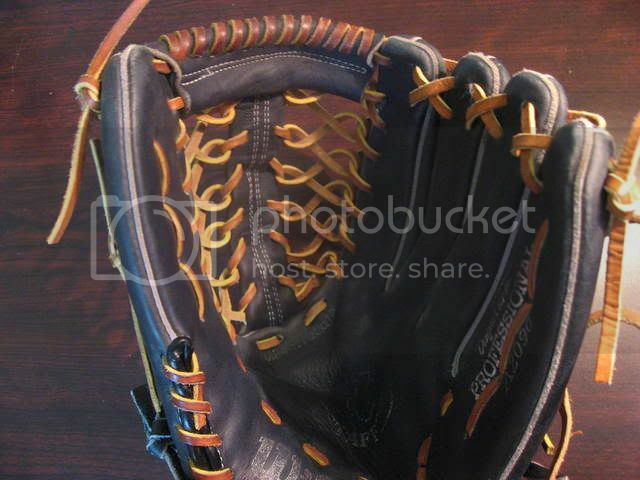 Here's my project glove. Bought it used last year for a couple of bucks and it was in great shape. 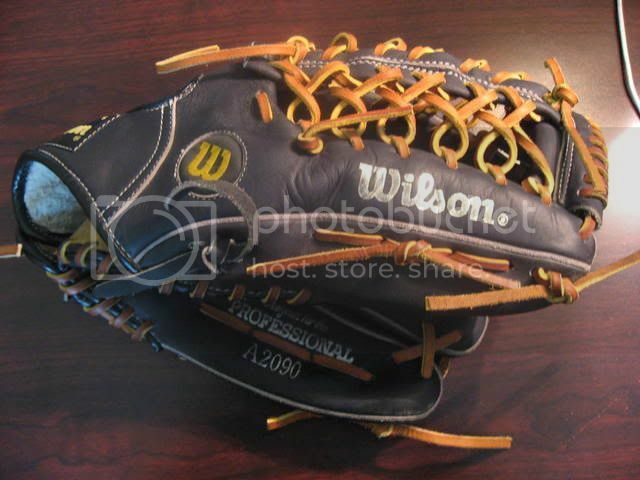 Its a Wilson Advisory Staff A2090. Not sure if it was ever a big seller, but it has a nice deer tan lining and the leather is soft, but not flimsy. It was a cross two web with black laces, but I relaced it with tan. It looked great, but the pocket wasn't quite deep enough for softball. I took out the two cross bars and base leaving only the center bar. It already had six holes in it so all I had to do was figure out a pattern for the modified trap. I think it turned out nice and has a very deep pocket now! nice job, it really brought that glove to life. Thanks. 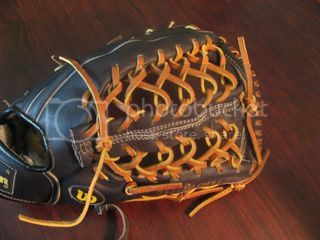 I think relacing glove is so enjoyable because you can see and use the fruits of your labor...very rewarding!